Twitter has gone through a lot of changes recently, and it’s been hard to keep up! Many of these changes are great news for small businesses and nonprofits. To make it easy for you, I’ve put together a list of the top four Twitter updates that you need to know. Twitter has added some features that are great for customer service. Start by going to business.twitter.com/i/settings/support. 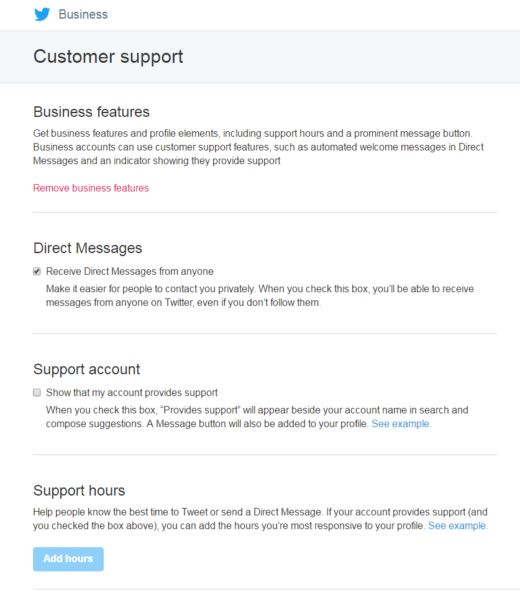 You’ll find settings you turn on in your Twitter profile that help you stand out for customer support. If you click the checkbox for the support account option, Twitter will add the phrase “Provides support” next to your account name when Twitter users search for your account or use it when writing a tweet. You can list the hours you’re available for customer support by clicking the Add hours button. 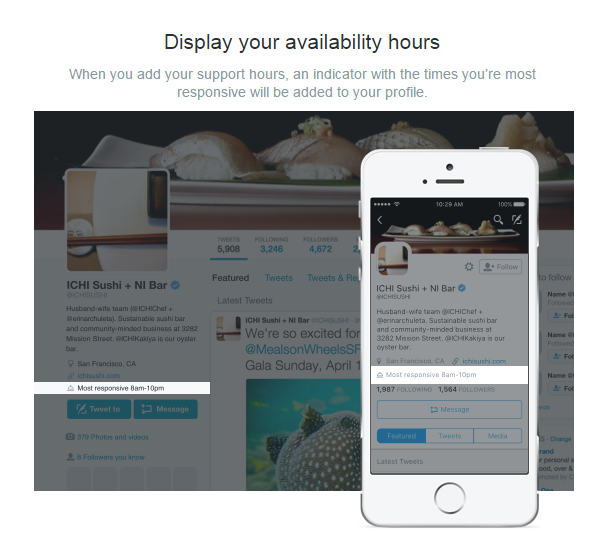 Twitter will display the times that you’re most responsive to messages in your Twitter profile. You can also set up automated welcome messages to respond to direct messages, which is handy to let customers know when the business is closed for the day or if you have a busy period and want to let customers know you’re working on certain issues and will get back to them as soon as possible. Media attachments like photos, GIFs, and videos no longer affect the character limit. When you reply to a tweet, the Twitter handle of the person you’re responding to will not count toward your 140 characters. Tweets that begin with a Twitter handle will now be seen by all followers. Previously, tweets that began with a Twitter handle could only be seen by people who follow both you and the Twitter user you were tagging in the tweet. Prior to this change, you had to add something in front of the Twitter handle (most people used a period) so that all followers could see it, which left you with one less character to use in your tweet. Twitter accounts with the blue badge show that it is a verified, authentic account in the public interest. The blue badge has been only given to accounts that represent people or businesses in entertainment, fashion, government and politics, religion, journalism and media, sports, or business. Now any Twitter user can apply for verification. 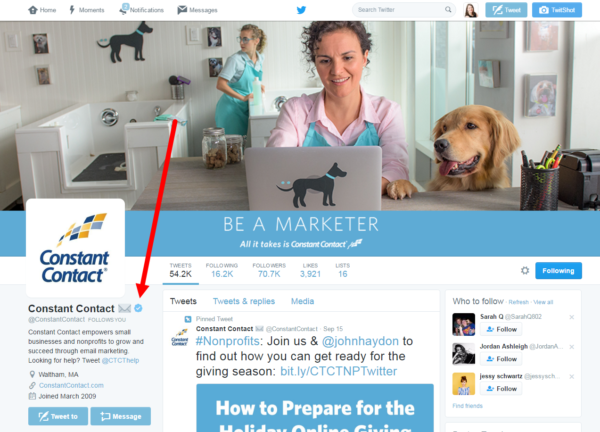 You can request verification by filling out this form on Twitter’s website. 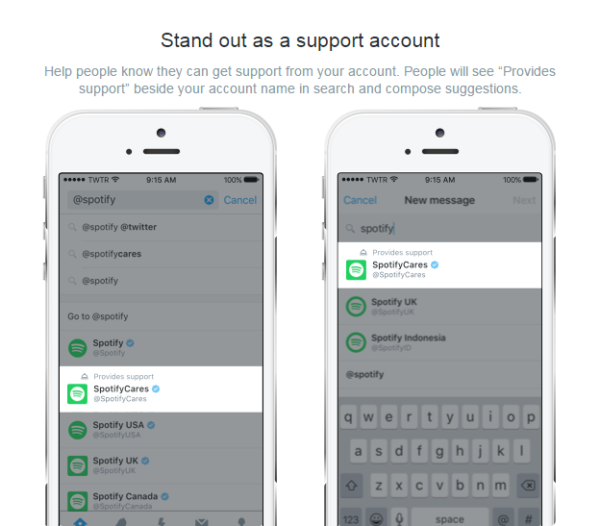 There are several requirements for verified accounts, which are described in detail on Twitter’s Help Center. The requirements include a verified phone number, email address, a bio, a profile and header photo, a birthday listed (for people, not businesses), a link to a website, and tweets set as public in your privacy settings. Twitter will review your application and let you know within a few days via email if your account is verified. 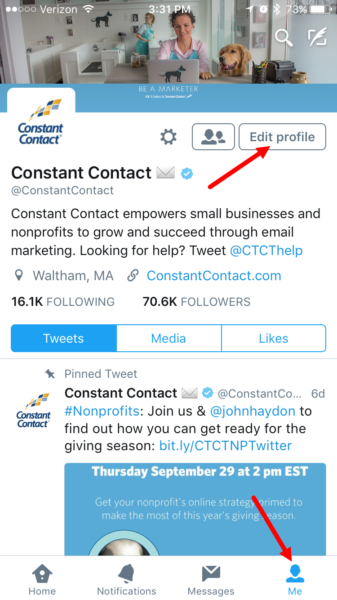 This last update will help you add a little flair to your Twitter presence. Twitter now allows emojis in users profiles and bios. To add emojis, open the Twitter app on your phone , click the Me tab on the bottom, and then click the Edit profile button. Type in the emojis next to your name or add them to your bio. 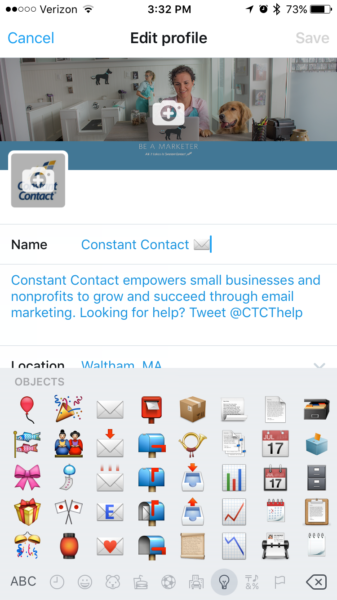 If you add emojis to your name, they’ll appear every time you publish a tweet. 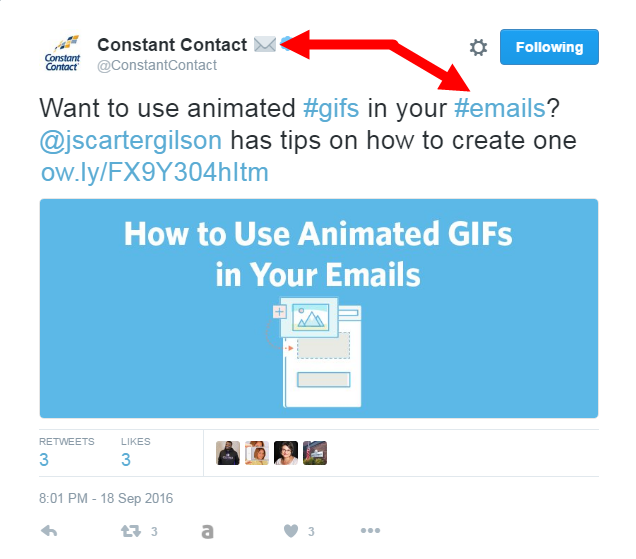 This is a great visual way for Twitter followers to connect your Twitter handle and your brand whenever your Twitter content appears in their feed. Which update will you try first? Whether you use Twitter to promote your business or personal brand, these new updates can help you communicate with your audience, stand out, and measure your impact. Give your profile a refresh and explore all the new tools available. Need more information on Twitter? Check out our Twitter resources on the Social Media Quickstarter.